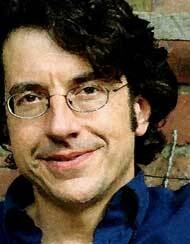 ABOUT THE AUTHOR  George Monbiot is the author of The Age of Consent: A Manifesto for a New World Order, published by Flamingo; Captive State: The Corporate Takeover of Britain, and the investigative travel books Poisoned Arrows, Amazon Watershed and No Mans Land. In 1995 Nelson Mandela presented him with a United Nations Global 500 Award for outstanding environmental achievement. He has also won the Lloyds National Screenwriting Prize for his screenplay The Norwegian, a Sony Award for radio production, the Sir Peter Kent Award and the OneWorld National Press Award. The columns reproduced here were first published in the British national newspaper, The Guardian. In reading reports of the trial of the Turkish novelist Orhan Pamuk, you are struck by two things. The first, of course, is the anachronistic brutality of the country’s laws. Mr Pamuk, like scores of other writers and journalists, is being prosecuted for “denigrating Turkishness”, which means that he dared to mention the Armenian genocide in the first world war and the killing of the Kurds in the past decade. The second is its staggering, blithering stupidity. If there is one course of action that could be calculated to turn these massacres into live issues, it is the trial of the country’s foremost novelist for mentioning them. The road-rage lobby couldn’t have been more wrong. Organisations such as the Association of British Drivers or Safe Speed – the boy racers’ club masquerading as a road-safety campaign – have spent years claiming that speeding doesn’t cause accidents. Safe Speed, with the help of some of the most convoluted arguments I’ve ever read, even seeks to prove that speed cameras “make our roads more dangerous”. Other groups, such as Motorists Against Detection (officially known as Mad), have been toppling, burning and blowing up the hated cameras. These and about a thousand such campaigns maintain that speed limits, speed traps and the government’s “war on the motorist” are shakedown operations whose sole purpose is to extract as much money as possible from the poor oppressed driver..
Never underestimate the self-pity of the ruling classes. Since Labour took office in 1997 the Confederation of British Industry has been engaged in one long whinge. It doesn’t matter that our taxes are among the lowest and our regulations among the weakest in the developed world. It doesn’t matter that the rich are richer than they have ever been. The CBI is the monster with a thousand stomachs that will never be satisfied. Over the past two years I have made an uncomfortable discovery. Like most environmentalists, I have been as blind to the constraints affecting our energy supply as my opponents have been to climate change. I now realise that I have entertained a belief in magic. In one respect, Simon Jenkins is right. “Nobody,” he complained in the Guardian last week, while laying out his case for nuclear power, “agrees about figures.” As a result, “energy policy is like Victorian medicine, at the mercy of quack remedies and snake-oil salesmen”. There is a reason for this. As far as I can discover, reliable figures for the total volume of electricity that renewable power could supply do not yet exist. So anyone can claim anything, and anyone does. The enthusiasts for renewables insist that the entire economy – lights, heating, cars and planes – can be powered from hydrogen produced by wind. The nuclear evangelists maintain, in Jenkins’ words, that “even if every beauty spot in Britain were coated in windmills, their contribution to the Kyoto target would be minuscule”. All of us are groping around in the dark. The media couldn’t have made a bigger pig’s ear of the white phosphorus story. So, before moving on to the new revelations from Falluja, I would like to try to clear up the old ones. There is no hard evidence that white phosphorus was used against civilians. The claim was made in a documentary broadcast on the Italian network RAI, called Falluja: the Hidden Massacre. It claimed that the corpses in the pictures it ran “showed strange injuries, some burnt to the bone, others with skin hanging from their flesh ... The faces have literally melted away, just like other parts of the body. The clothes are strangely intact.” These assertions were supported by a human-rights advocate who, it said, possessed “a biology degree”. Did US troops use chemical weapons in Falluja? The answer is yes. The proof is not to be found in the documentary broadcast on Italian TV last week, which has generated gigabytes of hype on the internet. It’s a turkey, whose evidence that white phosphorus was fired at Iraqi troops is flimsy and circumstantial. But the bloggers debating it found the smoking gun. We were told that the Iraqis don’t count. Before the invasion began, the head of US central command, General Thomas Franks, boasted that “we don’t do body counts”. His claim was repeated by Donald Rumsfeld in November 2003 (“We don’t do body counts on other people”) and the Pentagon last January (“The only thing we keep track of is casualties for US troops and civilians”). Will they never stand up to the carmakers? It was fudged – stupidly and unnecessarily fudged – but at least they tried. The ban on smoking in pubs, though gutted by the prime minister’s cowardice, will save some fraction of the bar staff who die every year as a result of passive smoking. The moral case is clear: people are being exposed to a risk for which they have not volunteered. While smokers have an undisputed right to kill themselves, they have no right to kill other people. This case being generally applicable, what does the government intend to do about passive driving? I report this with sadness: Sir David King has lost his bottle. Until a few weeks ago, the chief scientific adviser looked to me like one of the few brave souls in the British government. In an article in Science at the beginning of last year, he argued that “climate change is the most severe problem that we are facing today – more serious even than the threat of terrorism” and criticised the Bush administration for “failing to take up the challenge”. In response, he was viciously attacked by the Exxon-sponsored climate change denier Myron Ebell. Being viciously attacked by Ebell is something to which all self-respecting scientists should aspire. For the past five years I have been at war with Farmers for Action. These are the neanderthals who have held up the traffic and blockaded the refineries in the hope of persuading the government to reduce the price of fuel. It doesn’t matter how often you explain that cheap fuel, which allows the supermarkets to buy from wherever the price of meat or grain is lowest, has destroyed British farming. They will stand in front of the cameras and make us watch as they cut their own throats. Are religious societies better than secular ones? It should be an easy question for atheists to answer. Most of those now seeking to blow people up – whether with tanks and missiles or rucksacks and passenger planes – do so in the name of God. In India, we see men whose religion forbids them to harm insects setting light to human beings. A 14th-century pope with a 21st-century communications network sustains his church’s mission of persecuting gays and denying women ownership of their bodies. Bishops and rabbis in Britain have just united in the cause of prolonging human suffering by opposing the legalisation of assisted suicide. We know that the most dangerous human trait is an absence of self-doubt, and that self-doubt is more likely to be absent from the mind of the believer than the infidel. All politicians who seek to justify repressive legislation claim that they are responding to an unprecedented threat to public order. And all politicians who cite such a threat draft measures in response which can just as easily be used against democratic protest. No act has been passed over the past 20 years with the aim of preventing antisocial behaviour, disorderly conduct, trespass, harassment and terrorism that has not also been deployed to criminalise a peaceful public engagement in politics. When Walter Wolfgang was briefly detained by the police after heckling the foreign secretary last week, the public caught a glimpse of something that a few of us have been vainly banging on about for years. Climate-change denial has gone through four stages. First the fossil-fuel lobbyists told us that global warming was a myth. Then they agreed that it was happening, but insisted that it was a good thing: we could grow wine in the Pennines and take Mediterranean holidays in Skegness. Then they admitted that the bad effects outweighed the good ones, but claimed that climate change would cost more to tackle than to tolerate. Now they have reached stage four. They concede that climate change would be cheaper to address than to neglect, but maintain that it’s now too late. This is their most persuasive argument. 'Several of this cursed brood, getting hold of the branches behind, leaped up into the tree, whence they began to discharge their excrements on my head." Thus Gulliver describes his first encounter with the Yahoos. Something similar seems to have happened to democracy. In April, Shi Tao, a journalist working for a Chinese newspaper, was sentenced to 10 years in prison for "providing state secrets to foreign entities". He had passed details of a censorship order to the Asia Democracy Forum and the website Democracy News. Two months have not elapsed since the G8 summit, and already almost everything has turned to ashes. Even the crustiest sceptics have been shocked by the speed with which its promises have been broken. It is true that they didn't amount to much. The World Development Movement described the agreement as "a disaster for the world's poor". ActionAid complained that "the G8 have completely failed to deliver trade justice". Christian Aid called July 8 "a sad day for poor people in Africa and all over the world". Oxfam lamented that "neither the necessary sense of urgency nor the historic potential of Gleneagles was grasped by the G8". But one man had a different view. Bob Geldof, who organised the Live 8 events, announced that "a great justice has been done ... On aid, 10 out of 10; on debt, eight out of 10 ... Mission accomplished frankly." Between the idea and the reality falls the shadow of occupation. Whatever the parliamentarians in Iraq do to try to prevent total meltdown, their efforts are compromised by the fact that their power grows from the barrel of someone else’s gun. When George Bush picked up the phone last week to urge the negotiators to sign the constitution, he reminded Iraqis that their representatives – though elected – remain the administrators of his protectorate. While US and British troops stay in Iraq, no government there can make an undisputed claim to legitimacy. Nothing can be resolved in that country until our armies leave. If someone told you that the Conservatives would form the next government, then asked you who you would like to see as their leader, what answer would you give? I suspect that most Guardian readers would choose Kenneth Clarke. Opposed to the invasion of Iraq, sympathetic to the European Union, liberal, avuncular, Clarke is the obvious antidote to the swivel-eyed ideologues who have run the party for much of the past 30 years. You were doubtless glad to hear that he will declare his candidacy over the next few weeks and that, if he joins forces with David Cameron, he could win. All is not lost in America. When George Bush came out a couple of weeks ago in favour of teaching “intelligent design” - the new manifestation of creationism - the press gave him a tremendous kicking. The Christian Taliban have not yet won. Out of the bombings a national consensus has emerged: what we need in Britain is a renewed sense of patriotism. The rightwing papers have been making their usual noises about old maids and warm beer, but in the past 10 days they’ve been joined by Jonathan Freedland in the Guardian, Tristram Hunt in the New Statesman, the New Statesman itself and just about everyone who has opened his mouth on the subject of terrorism and national identity. Emboldened by this consensus, the Sun now insists that anyone who isn’t loyal to this country should leave it. The way things are going, it can’t be long before I’m deported. Saturday is the 60th anniversary of the bombing of Hiroshima. The nuclear powers are commemorating it in their own special way: by seeking to ensure that the experiment is repeated. As Robin Cook showed in his Guardian column last week, the British government appears to have decided to replace our Trident nuclear weapons, without consulting parliament or informing the public. It could be worse than he thinks. He pointed out that the atomic weapons establishment at Aldermaston has been re-equipped to build a new generation of bombs. But when this news was first leaked in 2002 a spokesman for the plant insisted the equipment was being installed not to replace Trident but to build either mini-nukes or warheads that could be used on cruise missiles. One day we will look back on the effort to deny the effects of climate change as we now look back on the work of Trofim Lysenko, a Soviet agronomist who insisted that the entire canon of genetics was wrong. There was no limit to an organism’s ability to adapt to changing environments. Cultivated correctly, crops could do anything the Soviet leadership wanted them to do. Wheat, for example, if grown in the right conditions, could be made to produce rye. I began to realise how much trouble we were in when Hilary Benn, the secretary of state for international development, announced that he would be joining the Make Poverty History march on Saturday. What would he be chanting, I wondered? “Down with me and all I stand for”? Benn is the man in charge of using British aid to persuade African countries to privatise public services; wasn’t the march supposed to be a protest against policies like his? How much longer can this farce carry on? Everywhere the chickens released by the government’s private finance initiative are not so much coming home to roost as crashing into the henhouse and sliding down the wall in a heap of blood and feathers. The prediction made in 2002 by the Banker magazine – that “eventually an Enron-style disaster will be rerun on a sovereign balance sheet” – could be starting to materialise. The private finance initiative (PFI) is the scheme allowing private corporations to build and run our public services and lease them back to the government. The government says that this allows it to commission more schemes than it could with public funds, and offers better value for money. And it doesn’t seem to matter how often the story falls apart. Hackers bombard financial networks”, the Financial Times reported on Thursday. Government departments and businesses “have been bombarded with a sophisticated electronic attack for several months”. It is being organised by an Asian criminal network, and is “aimed at stealing commercially and economically sensitive information”. By Thursday afternoon, the story had mutated. “G8 hackers target banks and ministries”, said the headline in the Evening Standard. Their purpose was “to cripple the systems as a protest before the G8 summit.” The Standard advanced no evidence to justify this metamorphosis. An aura of sanctity is descending upon the world’s most powerful men. On Saturday the finance ministers from seven of the G8 nations (Russia was not invited) promised to cancel the debts the poorest countries owe to the World Bank and the International Monetary Fund. The hand that holds the sword has been stayed by angels: angels with guitars rather than harps. Who, apart from the leader writers of the Daily Telegraph, could deny that debt relief is a good thing? Never mind that much of this debt – money lent by the World Bank and IMF to corrupt dictators – should never have been pursued in the first place. Rejoice! The world is saved! The governments of Europe have agreed that by 2015 they will give 0.7% of their national income in foreign aid. Admittedly, that’s 35 years after the target date they first set for themselves, and it’s still less than they extract from the poor in debt repayments. But hooray anyway. Though he does not become president of the EU until later this year, Tony Blair can take some of the credit, for his insistence that the G8 summit in July makes poverty history. It’s inspiring, until you understand the context. The British government recognises two kinds of freedom. There is the freedom of the citizen, which it appears to perceive as a threat to good order. It has permitted (through the Serious Organised Crime Act) the police or courts to ban any public protest. It is introducing identity cards, restricting immigration, seeking to curb the right of habeas corpus and extending antisocial behaviour orders. Then there is the freedom of business. Last time the BBC hosted a radio phone-in on the power of the superstores, it was attacked by clones. Despite a massive spending spree, Tesco had just posted profits of £2bn, and would soon possess 30% of the grocery market: five points beyond the monopoly mark. The first caller had only four words to say, and he said them three times. “You shouldn't knock success.” The phrase spread like an infection; about half those who phoned in after him repeated it. On the same grounds, we should have refrained from criticising Hitler’s invasion of Poland. For the past three weeks, a set of figures has been working a hole in my mind. On April 16, New Scientist published a letter from the famous botanist David Bellamy. Many of the world’s glaciers, he claimed, “are not shrinking but in fact are growing ... 555 of all the 625 glaciers under observation by the World Glacier Monitoring Service in Zurich, Switzerland, have been growing since 1980”. His letter was instantly taken up by climate change deniers. And it began to worry me. What if Bellamy was right? It all seems a very long way away. But what is happening in an obscure island nation in the south Pacific has now become our business. A few weeks ago BP, the British company that has invested most in “corporate social responsibility”, received final approval to start developing a gas field in West Papua, the western half of the island of New Guinea. There is nothing unusual about this: oil and gas companies are opening new fields all the time. What makes this operation interesting is the question of whether BP has any right to be there. The people fighting the new wind farm in Cumbria have cheated and exaggerated. They appear to possess little understanding of the dangers of global warming. They are supported by an unsavoury coalition of nuclear-power lobbyists and climate-change deniers. But it would still be wrong to dismiss them. The Whinash project on the edge of the Lake District national park will, if it goes ahead, be Europe’s biggest onshore wind farm, producing, according to the developers, enough electricity for 47,000 homes. Without schemes like this, there is no chance of meeting the government’s target of a 20% cut in carbon emissions by 2010. Michael Howard could not have done a better job of proving people like me wrong. He has missed no opportunity to demonstrate that, however much they agree on economic, foreign and defence policy, there is still a real difference between Labour and Conservative. His campaigns against Gypsies and asylum seekers, his ghoulish opportunism in hijacking other people’s misery, remind us that we do still face a choice in the forthcoming election: between the nasty party and the even nastier one. "Company directors who take big risks and achieve big success deserve big rewards.” That’s what Patricia Hewitt, the trade and industry secretary, said at the British Motor Show last year, and I think you can guess who she was talking about. The directors of Rover certainly got their big rewards. We all now know about their big success. But big risks? It was as obvious then as it is today that the only people in the business who were subject to no risk at all were the ones being rewarded for risk-taking. They would walk off with millions, whatever happened to the company. An inability to distinguish between the risks to which people expose themselves and the risks to which they expose others appears to be the defining disease of modern capitalism. It’s about as close to consensus as the left is ever likely to come. Everyone this side of Atilla the Hun and the Wall Street Journal agrees that Paul Wolfowitz’s appointment as president of the World Bank is a catastrophe. Except me. Under Wolfowitz, my fellow progressives lament, the World Bank will work for America. If only someone else were chosen, it would work for the world’s poor. Joseph Stiglitz, the bank’s renegade former chief economist, champions Ernesto Zedillo, a former president of Mexico. It is better than a poke in the eye with a sharp stick, or a tap on the head with a steam hammer. But only just. The new draft bill on corporate manslaughter is a ghost of what was once proposed. But, for the first time in the United Kingdom, there might now be a chance of prosecuting large companies for killing their workers. Easter is one of those occasions on which human beings entertain a number of contradictory ideas. Christians celebrate a pagan fertility cult, while non-believers make their biannual journey to church. People whose lives are dominated by godless consumption give something up for Lent. A society governed by science engages in the ritual sacrifice and homeopathic magic – eggs and chicks and rabbits – required to induce the earth to bear fruit. T?here is a group of men and women seeking to make life as difficult as possible for the progressives who support the EU. They are members not of the UK Independence party or the French National Front, but of the European commission. Whenever we try to persuade our compatriots that the EU helps to defend human rights, protect the environment and ward off the market fundamentalism of the US, they find some means of proving us wrong. William Hague, according to the new register of members interests, makes about 20 times as much for not being an MP as he makes for being one. We dont know exactly how much he is paid for his other 54 jobs, because members are not obliged to reveal the price of work which doesnt relate directly to their parliamentary duties. But he must have raked in about a million last year. Even so, hes probably not the richest person in the house. According to the parliamentary code of conduct, you must declare any shareholding worth more than the current MPs salary. Dame Marion Roe, the Tory MP for Broxbourne, has 18 declarations, which suggests she owns liquid capital worth at least £1m. It was the greatest legal victory against corporate power in living memory. Last week, two penniless activists, Dave Morris and Helen Steel, persuaded the European court of human rights that Britains libel laws, under which they had been sued by McDonalds, had denied them their right of free speech. The law will probably have to be changed, depriving the rich and powerful of their most effective means of stifling public protest. So why arent they hopping mad? The company that sued Dave and Helen will say only that the world has moved on ... and so has McDonalds. The Confederation of British Industry, so quick to denounce legal rulings it doesnt like, hasnt uttered a word. They dont care, and they dont need to. You can see why by reading the serious organised crime and police bill, which has now passed through the Commons for the third time. What civil law once gave them, criminal law now offers instead. It is now mid-February, and already I have sown 11 species of vegetable. I know, though the seed packets tell me otherwise, that they will flourish. Everything in this country  daffodils, primroses, almond trees, bumblebees, nesting birds  is a month ahead of schedule. And it feels wonderful. Winter is no longer the great grey longing of my childhood. The freezes this country suffered in 1982 and 1963 are, unless the Gulf Stream stops, unlikely to recur. Our summers will be long and warm. Across most of the upper northern hemisphere, climate change, so far, has been kind to us. And this is surely one of the reasons why we find it so hard to accept what the climatologists are now telling us. In our mythologies, an early spring is a reward for virtue. For, lo, the winter is past, Solomon, the beloved of God, exults. The rain is over and gone; The flowers appear on the earth; the time of the singing of birds is come. How can something which feels so good result from something so bad? The Republican senators who have devoted their careers to mauling the United Nations are seldom accused of shyness. But they went strangely quiet on Thursday. Henry Hyde became Henry Jekyll. Norm Colemans mustard turned to honey. Convinced that the UN is a conspiracy against the sovereignty of the United States, they had been ready to launch the attack which would have toppled the hated Kofi Annan and destroyed his organisation. A report by Paul Volcker, the former chairman of the US federal reserve, was meant to have proved that, as a result of corruption within the UNs oil-for-food programme, Saddam Hussein was able to sustain his regime by diverting oil revenues into his own hands. But Volcker came up with something else. What is the legal difference between hiring a helicopter for use in a coup against a west African government and sending supplies to the Chechen rebels? If there isnt one, why isnt Mark Thatcher in Belmarsh? Conversely, why arent the foreign terrorist suspects in Belmarsh prison free and, like Thatcher, at large in London? Why is an alleged engagement in foreign military operations called terrorism one moment and business the next? On Thursday, the fairy king of fairyland will be recrowned. He was elected on a platform suspended in midair by the power of imagination. He is the leader of a band of men who walk through ghostly realms unvisited by reality. And he remains the most powerful person on earth. How did this happen? How did a fantasy president from a world of make believe come to govern a country whose power was built on hard-headed materialism? To find out, take a look at two squalid little stories which have been concluded over the past 10 days. "Does not already the response to the massive tidal wave in south-east Asia, Gordon Brown asked on Thursday, show just how closely and irrevocably bound together . . . are the fortunes of the richest persons in the richest country to the fate of the poorest persons in the poorest country? The answer is no. It is true that the very rich might feel sorry for the very poor, and that some of them have responded generously to the latest catastrophe. But it is hard to imagine how the fate and fortunes of the richest and poorest could be further removed. The 10 richest people on earth have a combined net worth of $255bn  roughly 60% of the income of sub-Saharan Africa. The worlds 500 richest people have more money than the total annual earnings of the poorest 3 billion. There has never been a moment like it on British television. The Vicar of Dibley, one of our gentler sitcoms, was bouncing along with its usual bonhomie on New Year's Day when it suddenly hit us with a scene from another world. Two young African children were sobbing and trying to comfort each other after their mother had died of Aids. How on earth, I wondered, would the show make us laugh after that? It made no attempt to do so. One by one the characters, famous for their parochial boorishness, stood in front of the camera wearing the white armbands which signalled their support for the Make Poverty History campaign. You would have to have been hewn from stone not to cry.